A natural finish is the absence of treatment. The stone will be sold as extracted from the quarry once it is cut into the desired format. The final look will depend on the stone and the lighting in your home. This finish is best used for cobblestones. A polished finish will highlight the color and different properties of the natural stone. It is commonly used as an interior wall and floor dressing. 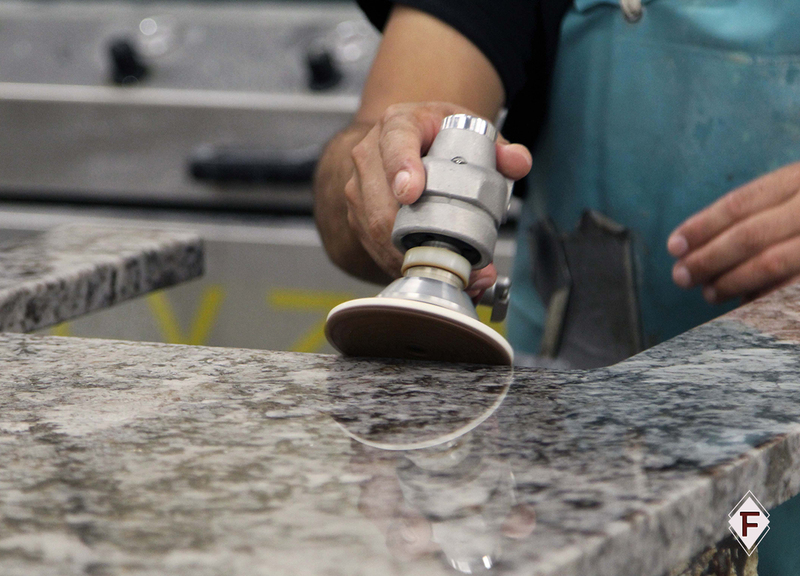 Polished finishes also look great for kitchen countertops. It is not recommended for outdoor paving since it can become slippery when wet. Aged finishes are often characterized by the use of constant vibrations on the stone surface to simulate aging. Although there are many different variations used to achieve the look, all will usually generate soft surfaces. Tumbling is an aging process similar to an antique finish. To achieve the tumbled look, the stone is introduced in a vibrating drum-like machine with smaller stones that will wear the look. Tumbling will give a soft surface and edge. This look is created by hitting the material manually or mechanically with a masonry tool called a bush hammer. Bush hammering will give uniformly distributed craters of different sizes over the surface of the stone. It is ideal for non-slip or high-trafficked areas. Sandblasting is similar to the bush hammer effect. This finish is created by blasting silica sand against the stone through an air gun. It will create very small craters that highlight the color of the stone. The mushroom finish is made with traditional masonry tools by chipping the stone with controlled blows. Mushroom finishes give a distinctive rustic look. Leather finishes are created by a process of brushing the slab with a range of brushes. The result is a slightly undulating surface with a very soft and warm smooth touch to it. A flamed finish is achieved by exposing the surface of the stone directly to a high-temperature flame. A flame finish generates a thin roughness and will protect the material for an outdoor installation.